Madison Keys reaches first final since 2017 U.S. Open while Caroline Wozniacki will play in her first final of the year. No. 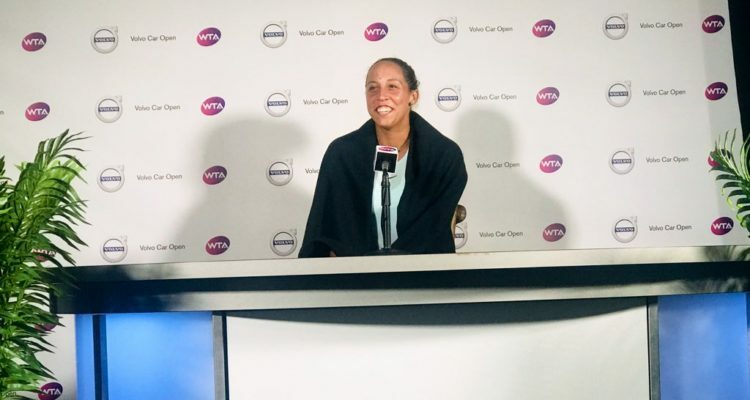 8 seed Madison Keys didn’t let an hour-and-a-quarter rain delay at the Volvo Car Open in Charleston, S.C., Saturday afternoon dampen her enthusiasm as she looked to reach her first final since the 2017 U.S. Open. Instead, the 18th-ranked American made quick work of her semifinal opponent, Monica Puig of Puerto Rico, and won 6-4, 6-0. Keys struck 29 winners, including nine aces, to overcome 17 unforced errors against the 63rd-ranked Puig, with whom she had split four previous head-to-head matches. Keys won the final eight games of the match to advance to her second Volvo Car Open and first since 2015, when she lost to Angelique Kerber of Germany. In reaching her first final this season, Keys has strung together wins over Tatjana Maria, Jelena Ostapenko, Sloane Stephens and Puig, in which she won the opening set in each match. “I feel really comfortable, especially on green clay here. I’ve had a lot of great results, so I always feel confidence coming in,” Keys said. “(Today), Monica definitely pushed me, and I feel I just came out after the rain delay really focused and ready to go. In Sunday’s final, Keys will oppose No. 5 seed Caroline Wozniacki, who beat No. 16 seed Petra Martic of Croatia, 6-3, 6-4, in one hour and 25 minutes during Saturday’s first semifinal. It was her sixth win over Martic in six meetings. Wozniacki, who won the 2011 Volvo Car Open and was a finalist in 2009, will be playing in her first final of the year and the third Charleston final of her career. Wozniacki won 75 percent of her first-serve points and didn’t face a break point until late in the match. She finished with 21 winners and hit just 13 unforced errors. The World No. 13 from Denmark, who has compiled a total of 19 career victories on the Charleston green clay, has wins this week over Laura Siegemund, Mihaela Buzarnescu, Maria Sakkari and Martic. She has dropped just one set. She will take a 2-0 career head-to-head into the final against Keys.